The rule must be reasonable (explained as rationally related to a legitimate objective of the Association). In Florida, there must be some authority for a Board of Directors to create or promulgate rules and regulations regarding use or occupancy of the property. Some governing documents give the Board of Directors plenary power to adopt, modify or otherwise change use restrictions. Other governing documents limit the Board’s authority to rule making regarding use of the common areas or common elements and still other governing documents require a membership vote to enact new use restrictions. Section 718.112(2)(c), Florida Statutes and Section 720.303(2)(c), Florida Statutes, requires both Condominium and HOA Boards to deliver notice of the Board meeting to the members at least fourteen (14) days in advance if the Board intends to adopt, change or otherwise consider rules regarding the use of the unit or the individual parcel. Consequently, the first step in determining whether a rule is enforceable is to determine whether the Board of Directors acted within the scope of its authority and whether it followed the procedures required both in the governing documents and applicable Florida law. The second part of the test requires an analysis of the existing documents that have priority over rules and regulations. Rules cannot conflict with the governing documents. It is relatively easy to determine whether a rule contradicts an expressed right or privilege set forth in the documents. For example, if the Declaration prohibits owners from maintaining more than two (2) pets on the property, the Association cannot enact a rule that prohibits pets altogether. An amendment to the Declaration is required to eliminate an owner’s right to maintain one or two pets on the property. Determining whether a rule contradicts an inferred right is far more complicated. Finally, rules cannot be arbitrary or reflect capricious decision making. The third part of the test requires the rule to be “reasonable”. Obviously the term “reasonable” is much like the term “beauty” – everyone has a different standard. Accordingly, once the first two steps are satisfied, it is necessary to evaluate whether the guest rules or guest restrictions are based upon some legitimate objective. The State of Florida addressed guest registration rules in a Declaratory Statement issued several years ago. The Association involved required all guests to sign in with a security guard upon entering the property and further required information on an Overnight Registration Form to register guests staying overnight. When a unit owner challenged the Association’s “need to know”, it emphasized that the rule served an important safety function, assisted in enforcement of other rules requiring use of licensed and insured contractors and contributed to making the condominium “more comfortable, safe and contented experience for all concerned”. The Division concluded that the rule advanced legitimate objectives of the Association and found that registration requirement did not violate the Florida Statutes. The Division has had the opportunity to consider many rules enacted by community associations over the past eleven (11) years in connection with its arbitration program. We will include more examples of rules that have either been upheld or rejected, from time to time. Can a Director Sit on More than One Association Board at a Time? I undeerstand that condo boards can formulate and pass rules as they deem appropriate. Are there any rules that would be more appropriate or would need to be part of the declaration or bylaws. For example could a board simply make age restrictions or restrictions on guests rules and not put them in the other higher documents? RESPONSE: I hate to say it, but … it depends. Typically age restrictions are found in the recorded documents. However, many associations have the authority and do enforce guest restrictions based on board-made rules. Hi, If a condo requires guests of owners or guests of tenants to register with the Association via guest forms, can the Asssociation collect background information on the guests? I know Associations can collect background information on tenants, but can Associations collect background information on a unit owner’s guest(s) or a tenant’s guest(s)? Thank you. RESPONSE: Again ….. it depends. Some associations do obtain background information regarding guests that plan to stay on the property for an extended period of time (typically more than 30 days). Our Documents & By-Laws state pets are okay for owners. The Board in a closed meeting made a ruling that dogs are no longer allowed … cats are ok. Dogs are no longer allowed because a couple owners didn’t pick up after them or they had ‘accidents’ in the elevator because they were old and couldn’t hold it until they got outside. At a recent meeting, motion was made and seconded for the Board to take a ‘survey’ of owners to see how they felt…results were 45 for 50 against with some abstaining. Is the no dogs enforceable? RESPONSE: Rules shouldn’t be made, considered, adopted or repealed in any closed-door meetings. There may be circumstances that warrant a closed-door meeting with counsel to discuss pet policies or enforcement if there are pending disputes however. Nonetheless, if the board has rulemaking power and this rule is within the board’s rulemaking power, the owner referendum doesn’t overrule the board rule. I am concerned about the provision you cite to in the documents – you should check to see if the new board rule contradicts those provisions. Thanks for the blog. From your experience, why do boards pass rules & regulations that violate the Declaration? Are they opening themselves up for any legal action by owners if they do? Why wouldn’t they consult their attorney before updating the rules & regulations? I recently installed laminate flooring – my HOA’s rules & regulations say that second floor unit owners can’t. However, the declaration states that all owners can decorate their floors as they see fit and does not have any specific language restricting the types of flooring. RESPONSE: Most boards are not aware of rulemaking limitations. I do not see board members with “bad intent”. They simply are not familiar with all of the nuances associated with rulemaking. Rules regarding hard flooring installations are not unusual. In fact, it would be unusual for a declaration to say “owners can use any floor substance they want” without any approval process or soundproofing requirements. RESPONSE: Thank you for your comments. There are many owners/residents that feel the same way – why leave this power to the board? For the most part board rules are to advance owner interests, not solely to limit activities. The Courts came up with the 3 part test I mentioned. Hi Lisa. You commented a few years ago that under condo and HOA law, rules that boards adopt cannot conflict with the governing documents. I found several condo cases that deal with that issue. Do you have any citations of HOA cases that address that issue? We have our Covenants and a set of Rules and Regulations. Unfortunately, several of our rules were never put to the owners for adoption. I could a ruling in an HOA case for a committee we are going to form to clean up our Rules and Regulations. If the Rules and Regulations are to follow what is written in the Declaration (Covenants), than the Rules and Regulations should not be able to be changed by the Board of Directors (at will) without the permission of the Owners. The Covenant documents in most cases cannot be amended without 75% Owner approval, and in my opinion neither should the Rules and Regulations! And therefor the Florida Statutes which allow Boards to change Rules and Regulations WITHOUT Owner approval needs to be changed immediately. . .
Why have no attorneys noticed this error in the Florida Statutes and gone after it! Owners are being harassed and fined on Rules and Regulations that go beyond the Covenants and this is WRONG. . .
As I write – I am on a Committee to update the Rules and Regulations and I am having a hell of time getting the other Members and Board to understand that they must inforce what is already in the Declaration of Condominium. . . And not to continue to make-up their own Rules. . . For instance: for years the R&Rs have stated that dogs are NOT allowed anywhere on the property except the patch of grass they are allowed to relieve themselves on. . . The Declaration states that dogs are allowed ‘everywhere’ inside or outside as long as they are ‘carried’ inside and on a leash outside. . . . RESPONSE: The board-made rules cannot conflict with rights afforded by the declaration of condominium. If there is nothing in the Condo Documents (Declaration, By-Laws, or Rules and Regulations) that sets a limitation on how long guests can stay, and there is nothing stating that if they stay over “x” days that a background check is mandatory, can a Board insist the unit owner pay a $100 “screening fee,” and insist that a guest fill out an application (which contains bank information, social security number, etc) which is actually meant for leasees/tenants? Additionally, while I have read in the Florida Statute that there is a cap on such fees of $100, our Declaration of Condo says, for sales and leases only (nothing about guests), no more than a $50 “screening fee” must be deposited and delivered simultaneously with giving notice of sale of lease, for the purpose of defraying the Association’s expenses. Before the the new Property Management company can charge it’s fee of $100, doesn’t the provision need to be amended? An amendment, per the Condo Docs, must be recorded to be valid. RESPONSE: The information on this site is general and for informational or educational purposes only. We cannot give legal advice as to any particular set of circumstances and nothing on the site is a substitute for legal advice. You are correct that amendments to the declaration, bylaws and articles of incorporation are required to be recorded in the public records of the applicable county. After the election of a new board of association, one director resigned, the next one in line by votes received is not interested in filling that position. can the board of directors chose anyone they like, or have a new election for that position. they have 2 people who would consider the vacant position, should they just vote for one of them by secret vote? Generally the remaining board members can appoint someone to fill a vacancy caused by a resignation. That is not one of the votes permitted to be kept secret in a condominium association. Replacing the director should be considered at a properly noticed board meeting. I have recently been asked to take a small outdoor storage unit off of my balcony. I contacted the HOA of my condo and explained that I thought I was working within there rules. In the HOA rules it states only “furniture expressly made for outdoor use” is allowed on the balcony. I explained that indeed this furniture was expressly made for outdoor use. They disagreed. I then asked them to provide me with a list of acceptable furniture that was allowed on my balcony. There reply was that no list existed and that it would be best to call when I plan on putting something on my balcony so they can make the decision of whether or not is is indeed expectable. Seems to me these decisions are being made arbitrarily. Just wondering if this is indeed something they have the power to do or if there should be some sort of list. I have recently been asked by the HOA to remove an outdoor storage unit from my condo balcony. I thought I was within the HOA rules that state “only furniture expressly made for outdoor use” is allowed on the balcony. I called the management company with my question and they stated this did not qualify as something that is allowed on the balcony. I then asked for a list of furniture that does qualify. They stated this does not exist. Puzzled, I asked how they were deciding what qualified as outdoor furniture. They explained to me it would be best to call them on an item basis before placing anything outside to get the OK from them. This seems like a very arbitrary way to make decision. Wondering if this is an expectable practice? I can only speak for Massachusetts, but I am sure its this way or similar in most state laws. Condo rules are broken into two sections; Rules And Regulations and the Bylaws that are contained in the Master deed and/or the declaration of trust. Rules And Regulations are a set of rules that a trust and/or a managing agent make regarding “Common Area” if you do not follow these rules you can be fined under “Common Expense”. 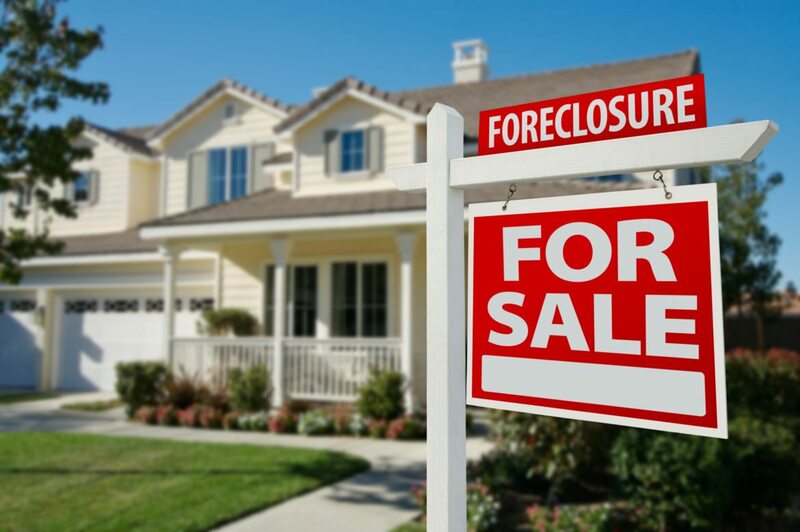 If you choose not to pay the fine a lien and even foreclosure can be imposed. The Trustees/Managing Agent are empowered by a vote of unit owners to make decisions that are best suited for all, and make decisions in a fiduciary manner. In Massachusetts the Rules And Regulations document has to be filed with the County Registry Of Deeds for it to be valid. The Bylaws should contain rules that are relevant to the inside of ones unit. For example; Guest policy, smoking policy and a pet policy to name a couple. If these sort of rules are not in place unambiguously written into the bylaws you cannot be fined as “Common Expense” fines because the Trustees/Managing Agent do not have that power. In Massachusetts to amend the bylaws of the Master Deed/Declaration of trust a minimum of 75% of unit owners need to vote on it then the new amendment must be filed with the County Registry Of Deeds. Does this hierarchy of authority include standards for alterations in conflict with the declaration? Are they void or voidable? We have family member of a condo association resident who needs medical caregiver assistance being forced to submit a $100 fee for parking along with a criminal background check, with credit, work, and living history submitted or will have car towed. The VP of the association, made remarks regarding making false documents of what unit (was a typo from a staff member) vp was hostile, and treated family member with an iron fist. Our family is dealing with a rare illness with our 80 year old parent who has lived alone at the condo for 28 years. We have no problem paying a fee and submitting a criminal check, we do have issue with submitting financial information (no financial interest in property). Not sure how to proceed. I live in a condo where the bylaws clearly state only carpet is permitted in the main living areas. No tile or wood. It was brought to my attention that my neighbor has had parquet wood flooring in her unit. We would like to install wood flooring with sound reduction rubber underneath. Since that bylaw was broken and never corrected, it that by-law still in effect? I was told that an association has two years to correct the situation or that by-law no longer exists. Anyone have an answer? The bylaws for my HOA are very clear stating 2 vehicles per unit. We are a small complex with limited available parking, having only 11 guest spaces for 26 units. One owner has 3 vehicles while other owners knowingly abuse guest spaces by parking in these spaces instead of their garages or assigned spaces. This practice denies other homeowners guest spaces for their guests. The HOA board refuses to enforce the bylaw effecting parking. This violates our rights as homeowners as the guest spaces are common property. One of the violators is continually behind on their maintenance yet the board looks the other way. Any suggestions on what we can do as homeowners? Additionally, I am a member of the HOA board and the other members refuse to do anything to comply with the rules so I’m in the minority. Homeowners have direct rights to enforce the governing documents but have to use the court system. The expenses are such that it makes much more sense for the association to pursue violations. Thank you Lisa, however, the “catch 22” problem is many of us seniors live on fixed monthly incomes and the HOA’s are aware of this so, therefore, the HOA’s realize senior cannot afford legal action and therefore do nothing to enforce the rules. The free legal helpline in our county will not assist seniors with this type of problem (HOA’s) and of course the attorneys will not give a reduced type of fee help so we are literally locked in to the problem untess we can get someone to help us. Would you know of any organization that would help to possibly even mediate? We have plenty of parking but our HOA is limiting vehicles to 2 with a guest pass that can’t be used for over 30 days. I just had surgery and my son and his girlfriend moved in with me for a total of 3 cars….NOW what, I can’t drive for 6 weeks and I don’t want her to get towed. Well you are correct for the most part, the association cannot impose a permanent ban on use of the common areas through the statute authorizing suspension of use rights. The better option would be to pursue injunctive relief in court. We have docs and regs in place. they are not being upheld by the current president. The grounds look awful and regs for parking, automobiles and renters are not being enforced, though there are rules in the condo documentations outlining infraction related to variour owner responsibility. What can we do to have the president enforce these rules ? There is in Miami Dade county some rule prohibiting drop water by the balcony? if so, witch one? Thanklyou. 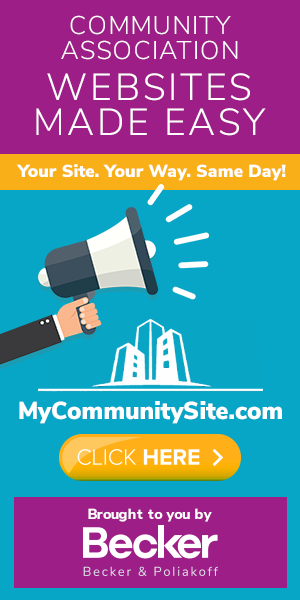 Most of the city and county codes and ordinances are posted on http://www.municode.com. You can also contact the code enforcement office for assistance. The extent to which a board of directors may regulate the property is determined by the governing documents. Often associations adopt guest policies or rules that regulate the number of occupants permitted at any one time or the duration of permitted stays. I have minivan the said I most have all the seat. The van have 6 I used only 4.they can towed . Juan . Parking regulations are governed by the community. I’d like to ask you a question regarding the installation of metal gates (for security purposes) in which two former board members (almost 14 yrs ago), gave verbal permission to install said metal gates. At the moment, the association is having all sorts of construction/maintenance done to the condo, including painting the exterior of the building. The current president on the board is insisting that the metal gates be removed in order to paint the exterior of the unit. The problem is that the metal gates are anchored into the building, not like the regular gates that other units have in their doors, which were purchased at Home Depot and are simply installed, not at all like my metal doors, which as I said are anchored into the concrete itself. The president recently said that my metal gates will be removed, which I said was impossible. I have no problem allowing the paintin company to paint the area between my metal gates and the front door of my unit. Now the president is stating that the metal gates are going against our condo rules and regulations!! As I said, I was given verbal permission by both the condo president and treasurer, on the date of my screening, almost 14 yrs ago, which by the way, none of them currently reside in the building. So, what can I do? You need to consult with legal counsel. Unfortunately relying on verbal permission to install a modification to the common elements is not always enough. There are many possible outcomes. This is not regulated by law. Unless there are some restrictions, someone can remain the President as long as they continue to be elected or appointed. An Hoa has a tenant leasing application that states what is need for the tenant to qualify for approval. I am a Realtor and have done plenty of transactions in this community followed all the rules stated on application. From one day to another with out holding a home owners meeting or making any changes to there application. The management company decided that in order for any tenant or occupant to move in to the same unit everyone 18 years of age or older would need a minimum credit score of 600. Was this In forced properly? Management tells me that it is at there discretion to change qualifications. Most 18 year olds do not have credit…????!!! Where any laws broken here? Please help. Thank you Lisa for this very thorough information regarding condo guest rules enforcement. Besides what the law dictates, simple reason and common sense should be given priority. I currently live in a small condo of 23 units in Fort Lauderdale FL and condo rules including a guest rule, a smoking rule etc are getting out of hands because of an unreasonable Board and condo association. Some of us residents at Coral Point have even created a blog to expose these absurd rules which you can see here at wethepeopleofcoralpoint.blogspot.com We invite your comments and feedback. Thanks again. i am a VP on a HOA broad , we have a rule in place since 1992 as to wearing and showing ID badges , since the influx of Canadians we have had this rule objected to and ignored , we need this for the safety of our whole community , what recourse do we have for enforcement ? Well, if this rule is important to the board, the association cannot simply ignore violations as doing so may give rise to common defenses such as waiver, estoppel, selective enforcement, etc. Most HOA use disputes are subject to the pre-suit mediation requirements of the statute. General enforcement techniques, such as fines, suspension of use rights and litigation are certainly options. Your board needs to discuss what is right and appropriate for your HOA with counsel. What do you do with a board that insists on by passing its members? If a president of a board changes restrictions as stated in the declaration and calls it “board policy”, then mails them out to the association; what recourse if any, for a board member? Our rules state “when owner is not in residence, said owner may have guests occupying apartments for periods totaling no more than thirty (30) days during a calendar year without permission of the Board of Directors”. There is an ongoing disagreement with Board members as to one (1) guest per year, or 12 guests per year for no longer than 30 days. We have a Board member who lives in Canada and constantly has guests in his unit and says they are relatives, friends etc. We had seen an advertisement he was renting by the day which he denied. This was the reason he wanted on the Board to make his own rules. He also gives out the remote to the gate and the key to the building which owners have been told over and over that those are for residents only and visitors must obtain a pass. So, that being said, is it one guest per year or 12? This is a constant problem since 1/3 of the building reside elsewhere. The rule may not have been artfully drafted, but if the unit is advertised for short term rentals on a website, there is no reason that your board cannot pursue enforcement action. If a condo contract says pets under 40 lbs allowed..then on application to be approved it says 2 pets allowed then says under that 1 dog and/ or 1 cat allowed..how can that be reinforced if you put 2 pets 20 lbs they approve and it is 2 small dogs..what are their rights after the condo is purchased can they enforce the rule after they approve for 2 pets then realize it’s dogs not one of each..how can they specify the species? Boards really need to have policies in place for issues like this. Without any policy, you may be challenged by the other board members for making an executive decision without authority. Hiring and firing staff is a board function. Some boards delegate that power to the President. Please check with counsel before you make any employment related decisions though. How many days before the board meeting date do you need to post the board meeting? About a year ago I made a formal request for a comprehensive list of Association records to determine whether the property manager had been abusing their blank check book arrangement. None of the board members ever see an invoice or get proof that what the Association is charged is what has been paid. Our annual budget is about 1.5 million and our dues are higher than comparable properties I own at other associations in the same town. My request for documents was only partially complied with and shortly thereafter the board passed a new rule to limit an owners request for documents to no more than 1 request per month, limited to four separate questions. For example I asked for a copy of bank statements for a one month period and they said I needed to specify which bank statements I was requesting. If I don’t know the accounts how can I specify which accounts unless I first ask for a list naming the accounts we have? Obviously they are hoping I will give up and go away but that is not how I am wired. I’ve read your 3 points and question whether limiting an owners access to records to a specific number and time period is reasonable and conflicts with the rights I have under the declarations. I now own 3 whole owner units of 7 in a property that is combined with 40 timeshare units so I have the largest individual ownership of Association properties. The management company did Not change it name….. they got a new one company. Champell which I heard is bad. We now have a renter purge because we’ve reached 65% renters and so 5 have moved from 2 buildings…. one of which was asked to leave 4 months early (lease is up in Jan) but he wont….. since she wont renew my lease but wont go to court it is because she knows once again this is illegal… then Im guessing you get under 65% and submit your paperwork as those units are now owner units and then within days have new people in units…. wow….. have to believe its illegal too…. the mountain must be great if I a renter have found out this much….